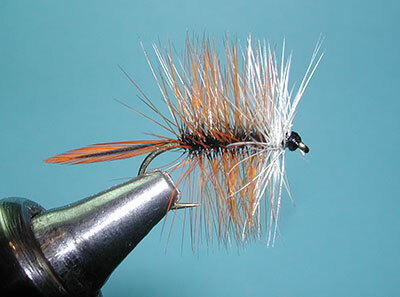 Notes: The Bivisible is a classic fly that was introduced by Edward Hewitt (1866-1951) in 1926 in his book, "Telling on the Trout". 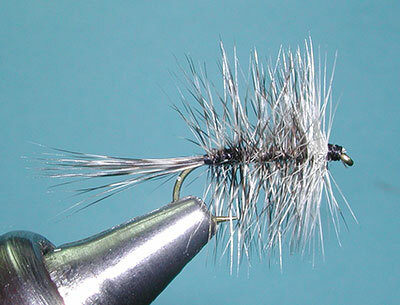 It has remained a standard attractor fly through the years either mimicing a skating caddis or a midge cluster. The Bivisible was developed to use two contrasting colors. 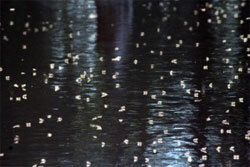 The darker colors are more readily visible to the trout while the contrast of the light against dark colors allowed the flyfishermen to see the fly on the water more easily. 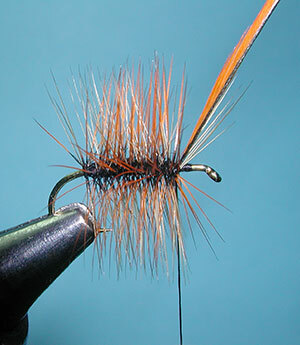 The use of palmering the hackle over the body is a old technique going back perhaps to the 1700's. 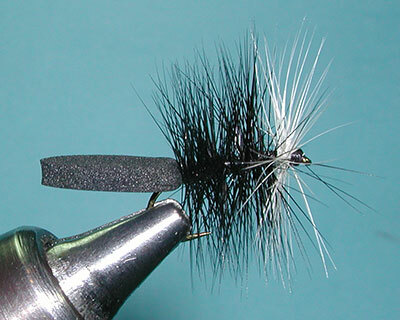 Mr. Hewitt presented the first Bivisible as a Brown Hackle body with a White hackle wisp at the head. This pattern has been recognized as the Brown Bivisible. 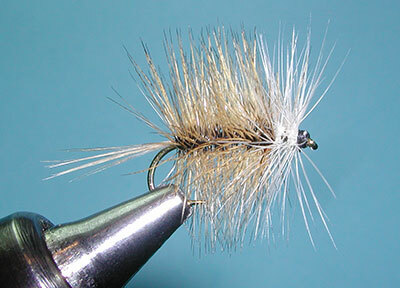 Others used different combinations of hackles. Mr. Charles Merrill of Detroit, MI is credited with the Badger Bivisible sometime in the 1930's and Hank Wilson, a guide on the White River in Arkansas is credited with the Bulbous Bivisible in the late 1970's.